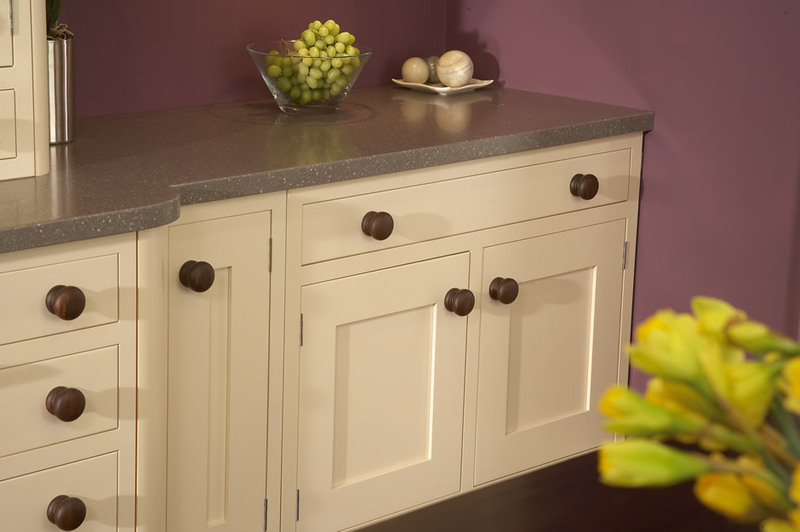 There are many different doors available in Shaker style. 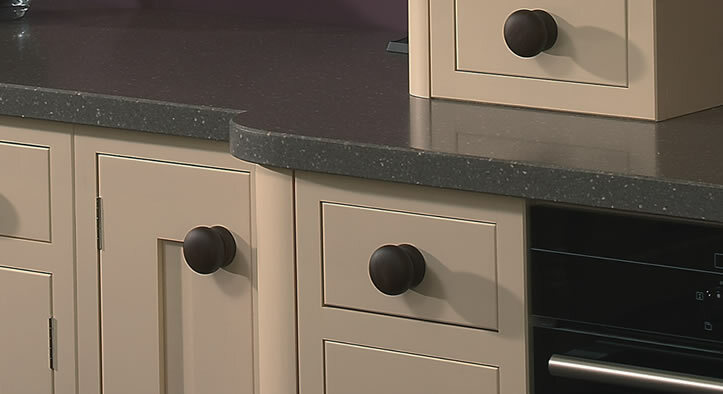 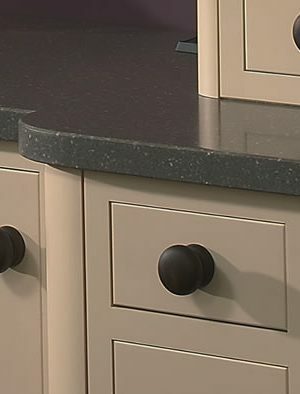 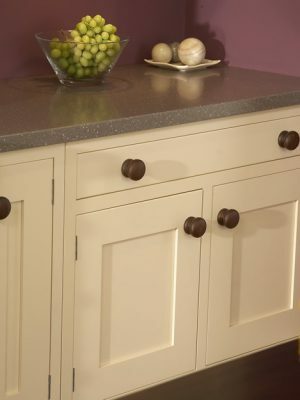 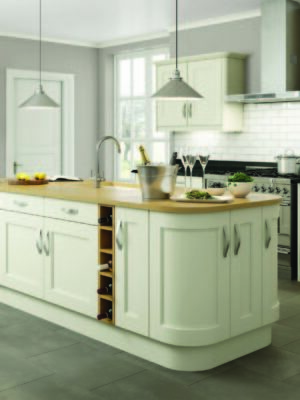 The Shaker style door is a modern classic, offering simplicity and a timeless kitchen. 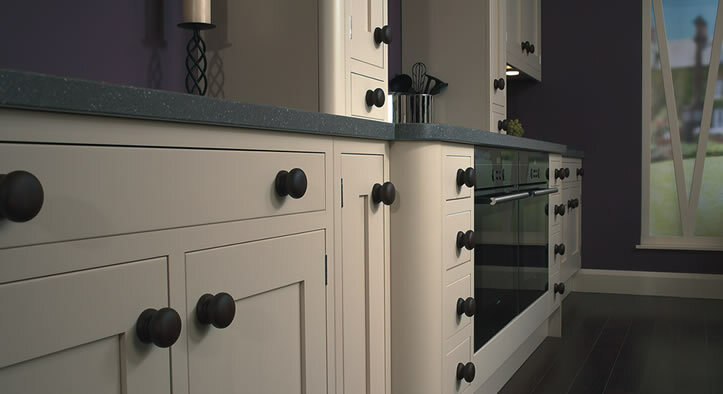 Shaker kitchens come with a host of superb design features that will give your kitchen character and enduring appeal. 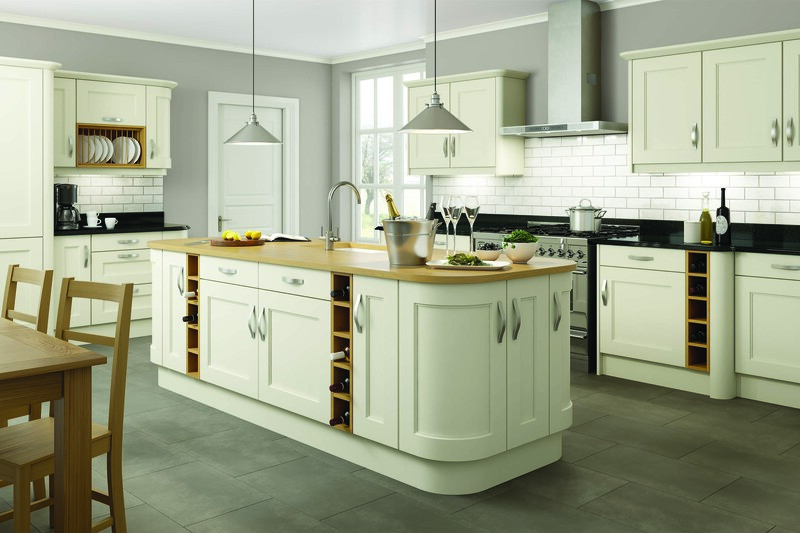 One of the latest trends has been to take the classic Shaker style and bring it bang up to date by keeping everything simplistic and stylish. 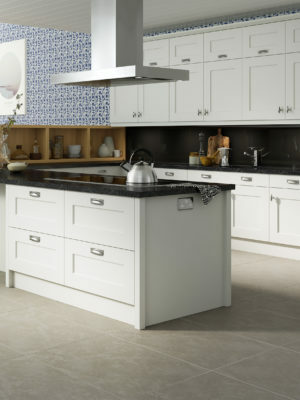 We have the lastest In-frame Shaker style doors on display in our showroom at Carlisle Street. 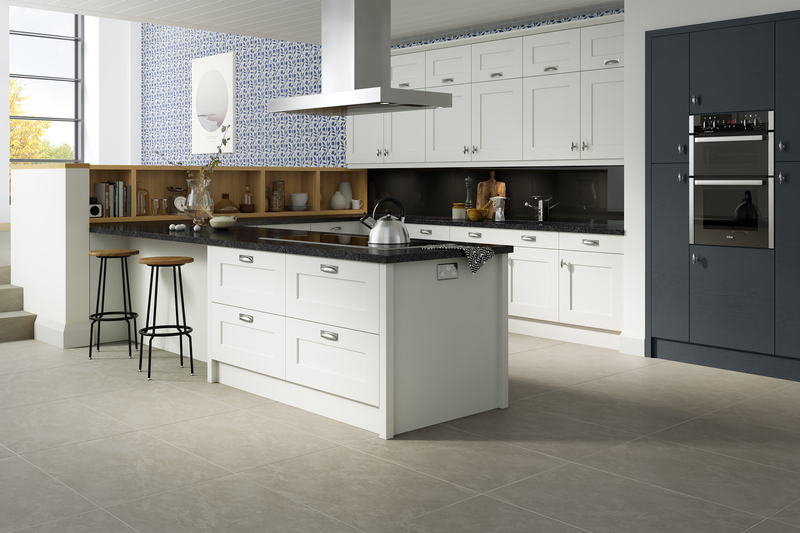 Featuring the Regent Bevelled In-frame door in Edwardian White and Carbon, with a stunning granite top in Cosmic White with white glossy tiles in a brick bond style and a simple chrome knob to enhance the door. 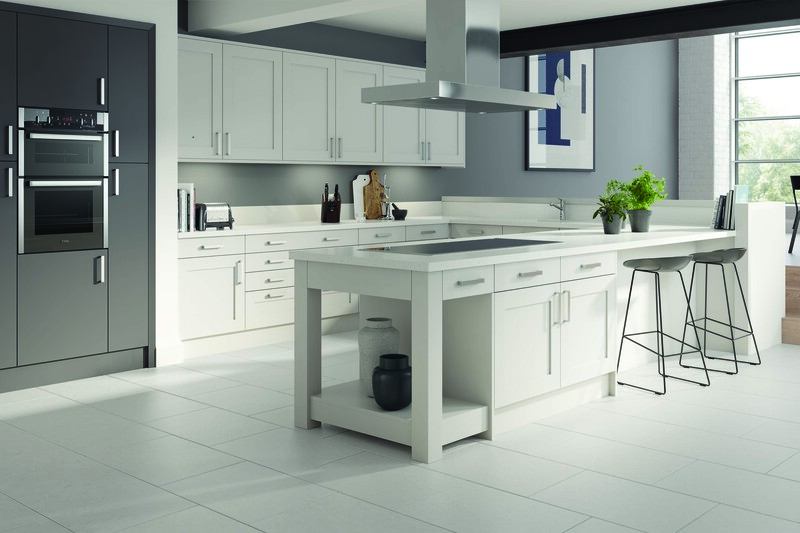 The current trend is to choose a simple ivory or pale grey door with a door in a bold stand out colour to create a feature. 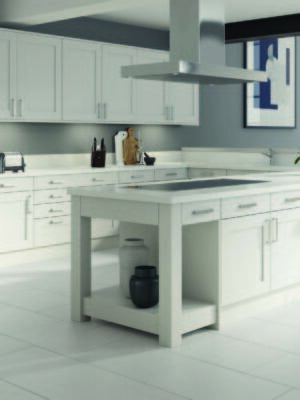 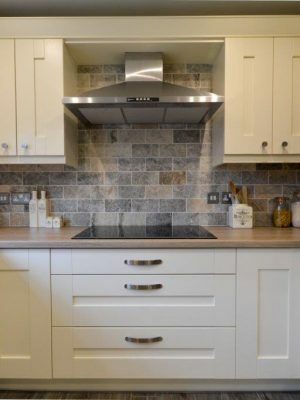 When you visit our showroom to enquire about a Shaker style kitchen, you can see examples on display and we can show you different brands available in kitchen brochures, so plenty of inspiration. 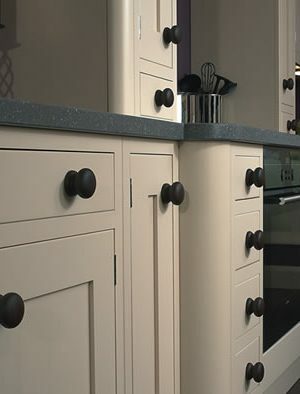 There are many options including a pallet of painted colours and some ranges have curved doors. 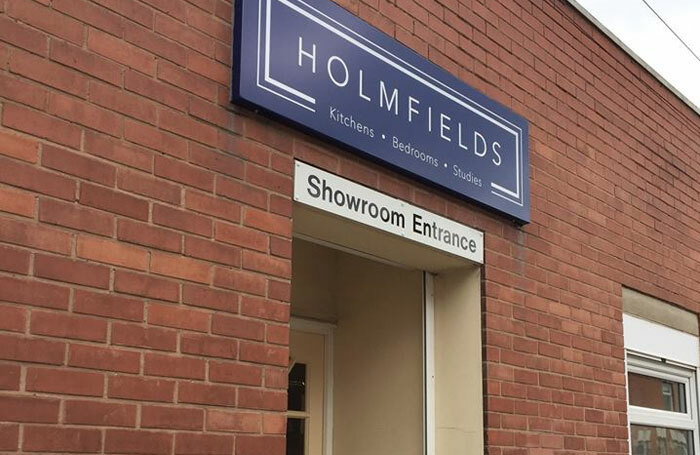 Here at Holmfields we can help you visualise your new fitted kitchen by measuring up and creating a computerised design. 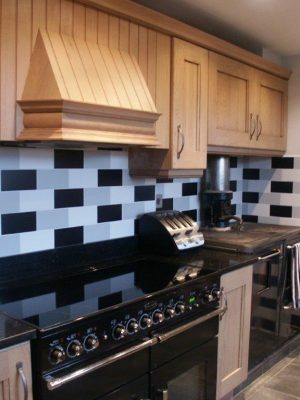 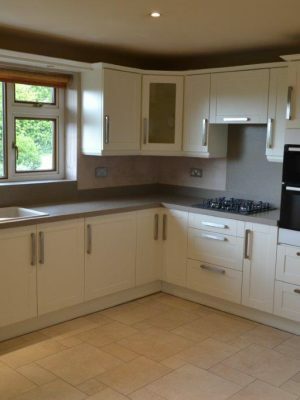 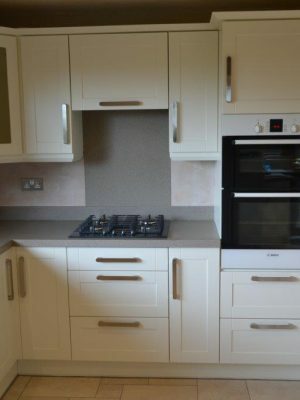 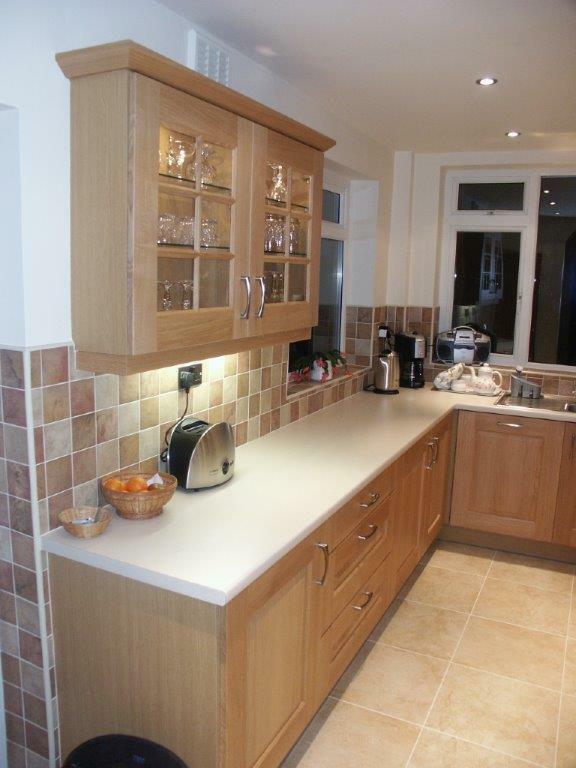 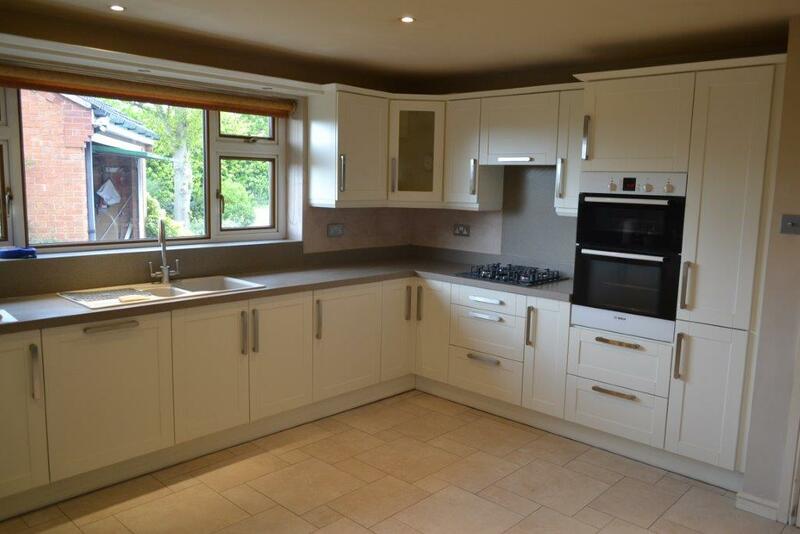 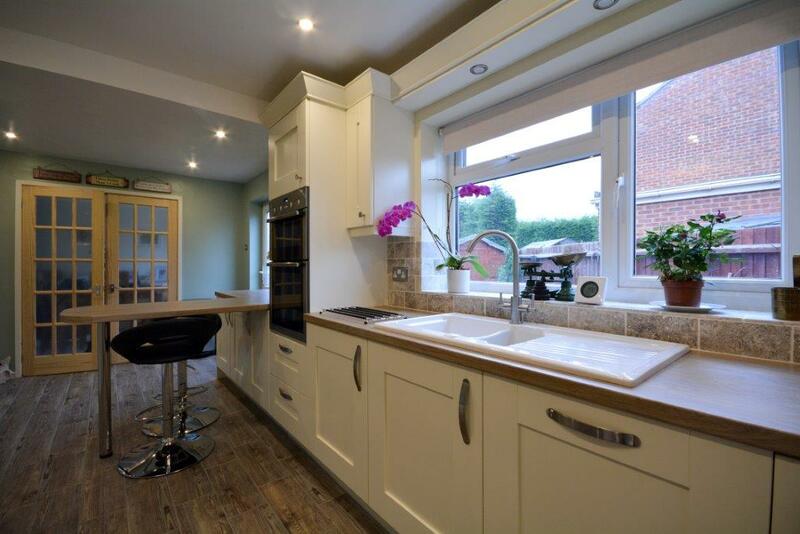 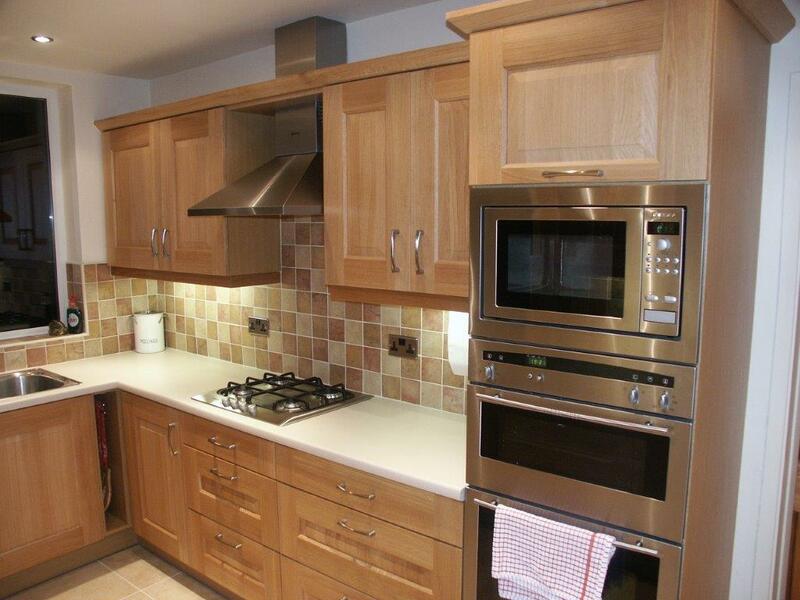 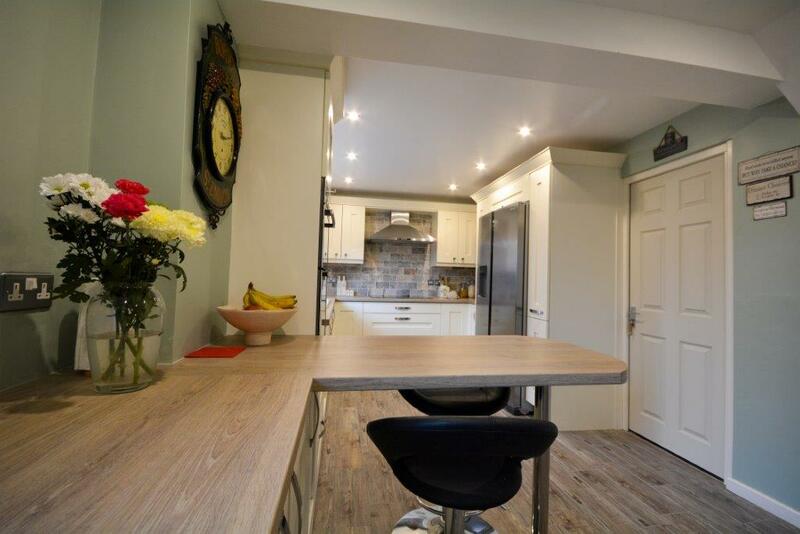 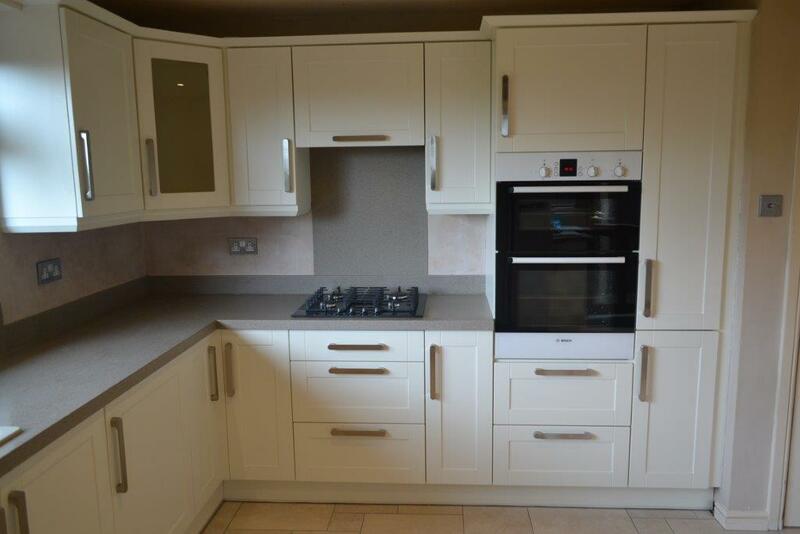 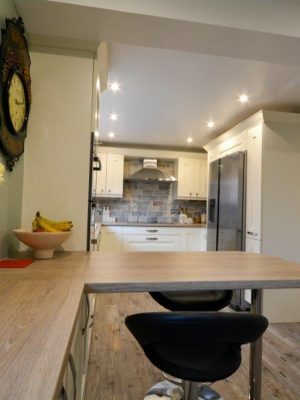 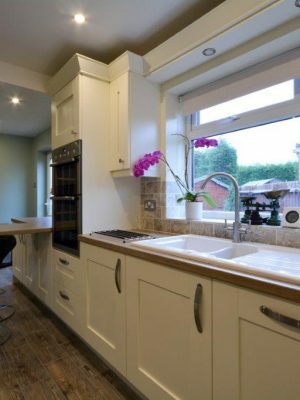 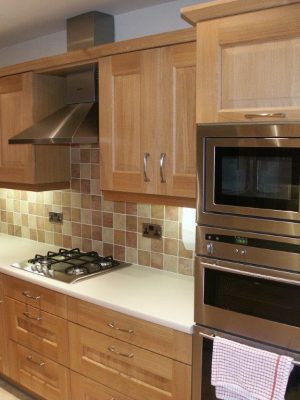 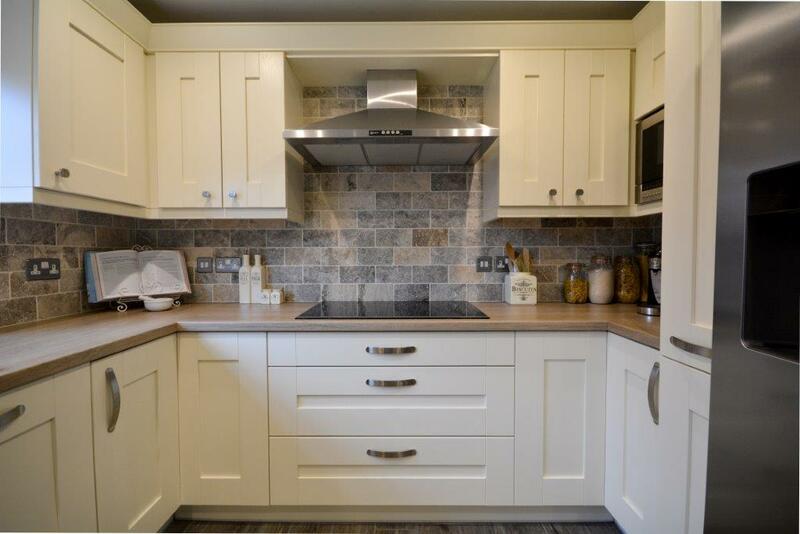 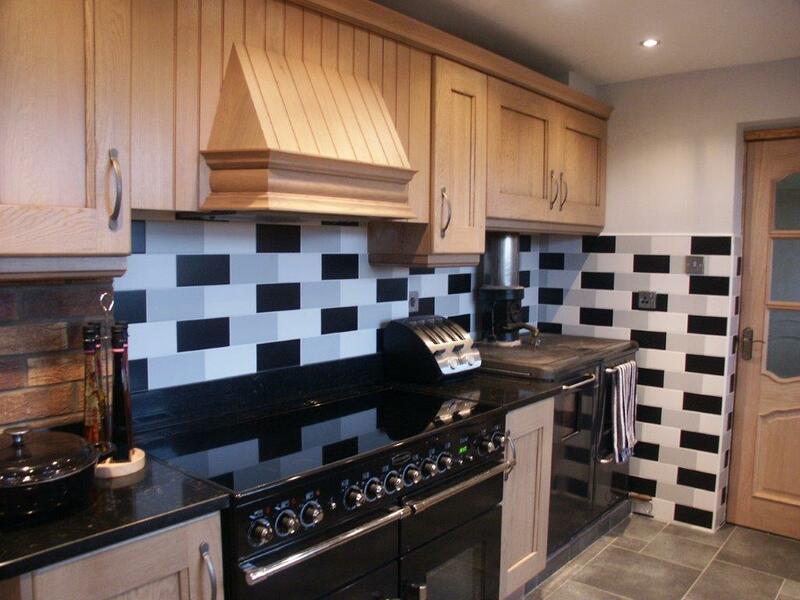 As well as fitting your kitchen we can offer different services in conjunction with the work such as minor building work, plastering, electrical, plumbing, flooring and tiling.